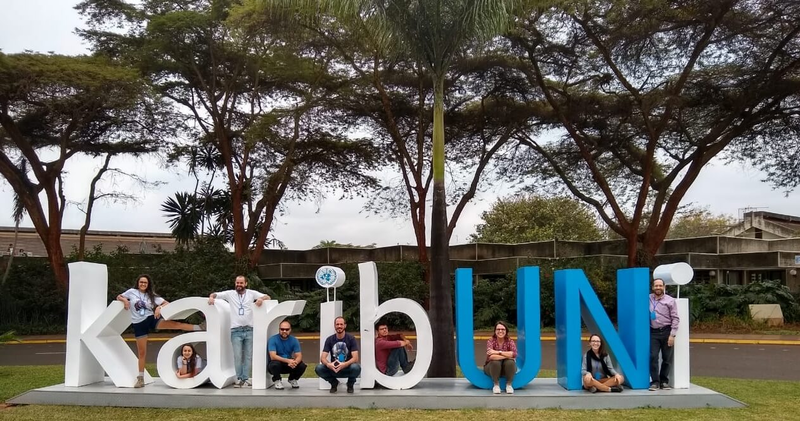 Laboratory of Primatology of PUCRS made its presence felt at the 27th Congress of the International Primatological Society, in August, at the UN, in Nairobi (Kenya). The event was attended by the laboratory coordinator, Dr Júlio César Bicca-Marques as well as ten current and former members who presented 13 papers. Bicca-Marques presented two panels. He co-wrote six others, joined the roundtable How do we increase publications by range-country authors and served as main secretary at the meeting that followed the congress. Former Biological Sciences students Felipe Ennes Silva and Jonas da Rosa Gonçalves were highly acclaimed. Felipe, who has completed his Master’s in Zoology, won big at the panel session for students. Jonas was one of the 12 young primatologists from all over the world who were selected for the Pre-Congress Training in Program, on the days that preceded the congress.